I work very differently from a lot of therapists!! Totally Holistic Health offers a variety of treatments for a different needs. 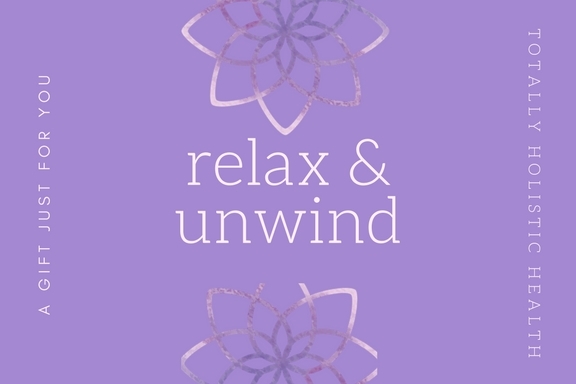 For Holistic Therapies such as aromatherapy, reflexology, reiki etc, I charge for my time rather than per treatment so you can build a treatment specific to your needs – please feel free to browse through at which treatment you require. If you are feeling unwell, have stress related problems, have had a long term illness, lack energy, may be suffering from allergies or are just not feeling yourself then Kinesiology may be a good option for you as we can discover the underlying cause of why you are not feeling on top form. If you have aches and pains, maybe an injury from playing sport etc then maybe a nice relaxing Aromatherapy Massage would be good for you (we actually blend the essential oils specifically for your needs) or why not try Bowen Technique – a really effective muscle release technique. If you are a sucker for Reflexology (one of my favourites) which is fantastic for dealing with stress, so relaxing and fantastic for maintaining general wellbeing then pop over HERE for more information. If you are pregnant then why not have a lovely pampering Pregnancy Massage or if you are suffering from the aches and pains of pregnancy then Bowen may be a fantastic alternative. Feel free to contact me if you require any advice on 01613742602. Bowen is a soft tissue remedial therapy that consists of a series of gentle moves on skin or through light clothing, with the client usually lying on a bed or treatment couch, although it is possible to be treated seated. This therapy can be effective to help relieve everyday stresses and revitalise the whole person. Massage during pregnancy differs from a regular massage in a couple of ways. The biggest way it differs is that the person receiving the massage is pregnant, and therefore knowledge of pregnancy and the anatomy of a pregnant woman are very important. This means that positioning during a massage is critical to the safety and well-being of both the mother and the baby she is carrying. Choose from either Aromatherapy, Reflexology, Reiki, Tibetan Acupressure Head Massage or a combination of these treatments to make it a truly individual treatment just for you.